The small scale of Varga’s photographs demand an intimate viewing yet just as they draw us into their interior space, the flat plane of the photograph prevents this. 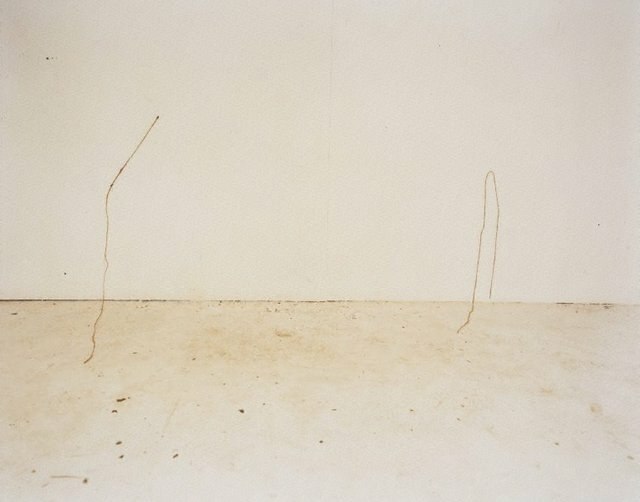 An intriguing balancing act is developed within the images as they teeter between the sublime (heightened by the artist’s signature milky palette and subtle use of tone) and the gritty dimension of everyday space in which they are staged and to which we are returned by the whimsical punctuation of mundane objects and materials. The inherently push-pull nature of her work combined with an instinct for creating images that transcend their materiality suggests an artist keenly questioning the possibilities of the photographic medium. Varga’s images operate as portholes into an interior zone: physical, intellectual and spiritual. Signed and dated l.c. verso, pencil "... 2009... Justine Varga".